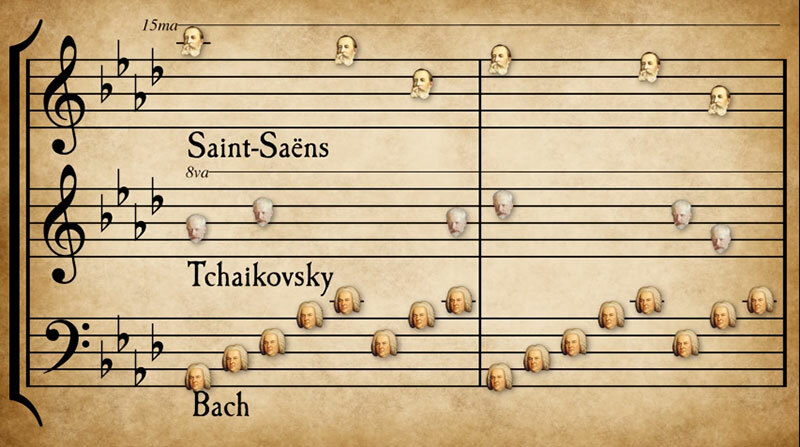 In this brilliant music video, Northern California-based one-man production team Grant Woolard wove together 57 famous classical tunes by 33 composers and used their faces as musical notes while adding their names at the bottom so you can identify them. What's amazing is how the melodies seem to fit together and if you're not into classical music, you would think this was an entirely new composition, which it sort of is. In this brilliant music video, Northern California-based one-man production team Grant Woolard wove together 57 famous classical tunes by 33 composers.